ASTANA – The Shymkent oil processing plant (SOPP) reconstruction will last for one additional month and the interim shutdown will not affect the Kazakh fuel supply, said Vice Minister of Energy Makhambet Dosmukhambetov during the 2018-2020 draft budget presentation. “The reconstruction will proceed according to plan. It will not affect the budget or the fuel supplies around the state,” he said. Dosmukhambetov added the shutdown issue had been resolved with KazMunayGas, one of SOPP’s owners. The plant was closed for overhaul April 10 to rebuilt operating equipment and add new facilities, according to owner PetroKazakhstan. 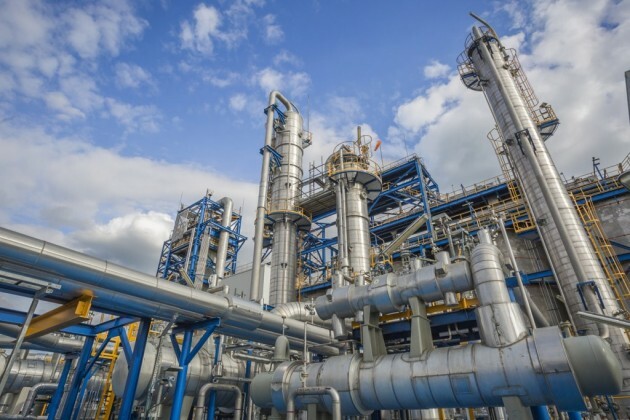 “New facilities of the residue fluid catalytic cracking (RFCC) complex will be integrated with SOPP functioning facilities,” noted the company press service. The complex is the most important process for deep oil processing. Constructing RFCC, in addition to gasoline and hydrogen purifying and Merox desulfurising, was completed by 4,800 employees in March. New installations have created 445 jobs and employers are completing internships at Chinese, Kazakh and Russian oil processing plants. The reconstruction phase is part of the plant modernisation project, including implementing industrial safety requirements and improving equipment reliability and qualitative and uninterrupted operation. The first stage was completed in 2017 and the second will be finalised in the third quarter of this year. Before the planned shutdown, all tanks were filled with the necessary volume of commercial products. SOPP manufactures K4 and K5 class petroleum products. Built in 1985, the Shymkent plant is one of the three leading and newest oil-processing plants in Kazakhstan. SOPP currently produces 30 percent of the total volume of petroleum products; the balance is produced at the Atyrau and Pavlodar plants. PetroKazakhstan is a vertically-integrated group of oil companies with shareholders China National Petroleum Corporation and KazMunayGas.